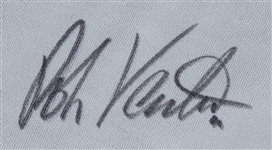 Presented here is a collection of four Robin Ventura game used items. The first game used piece in this lot is a gray road New York Mets button-down jersey worn in 1999. 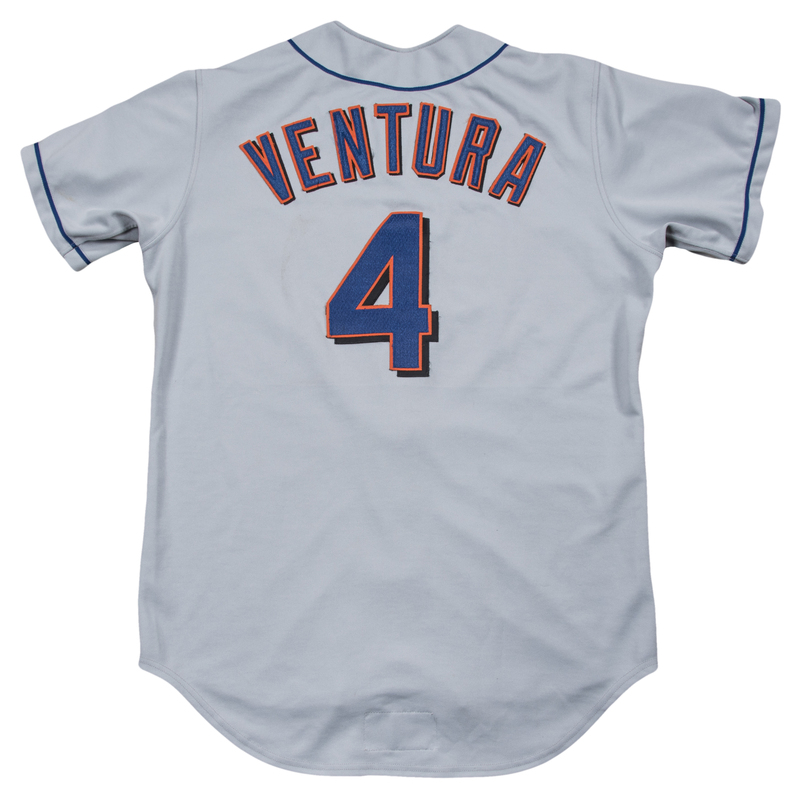 The jersey has “NEW YORK” and Ventura’s number “4” sewn on the chest in blue, orange, and black tackle twill. 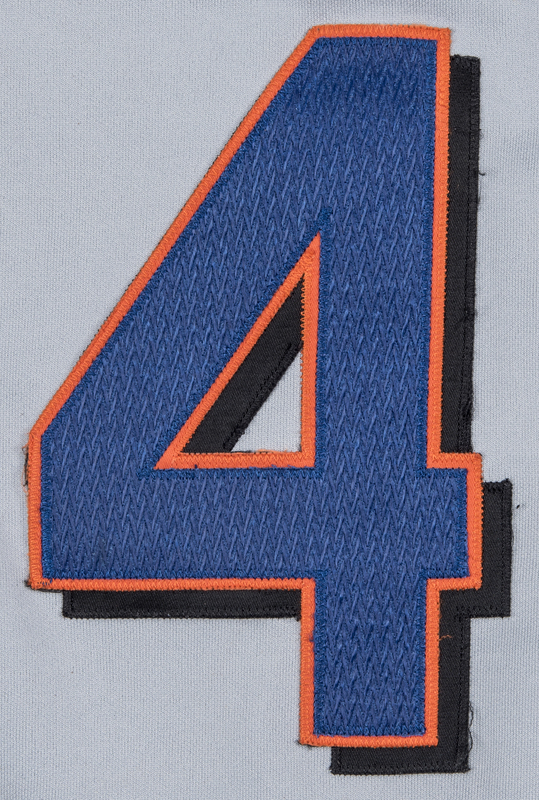 “VENTURA” and a second “4” are sewn on the back of the jersey in blue, orange, and black tackle twill. 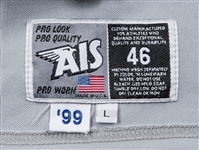 A Mets skyline logo patch is sewn on the left sleeve and an AIS size 46 tag with attached “’99” and “L” flags is sewn on the center of the back inside tail. 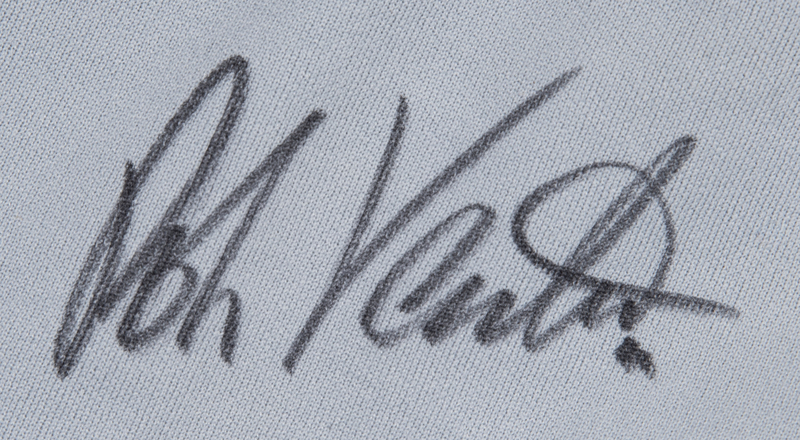 Ventura has signed the chest of the jersey in black marker. 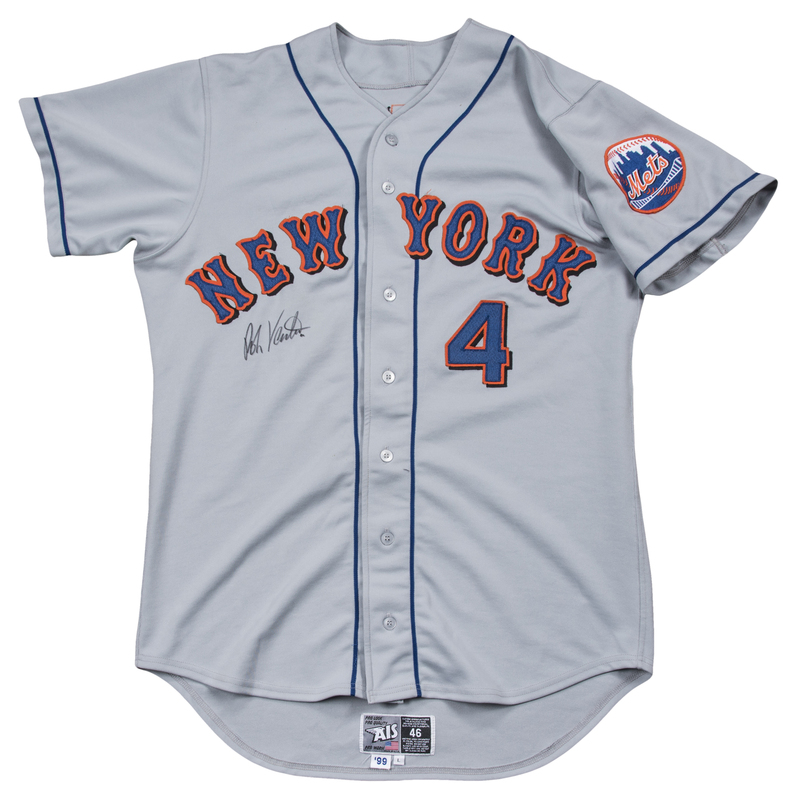 This jersey shows light wear and comes with a COA from Beckett Authentication Services (F63971). 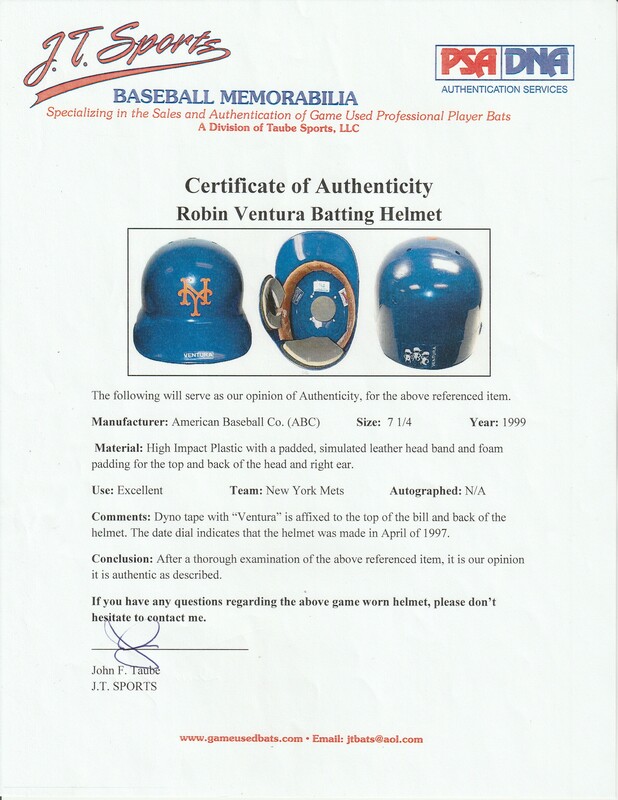 Also included in this lot is a blue Mets batting helmet worn by Ventura. An orange Mets logo is applied to the front of the helmet and a “Ventura” label is affixed to the brim and back of the helmet. The flap is located over the right ear. 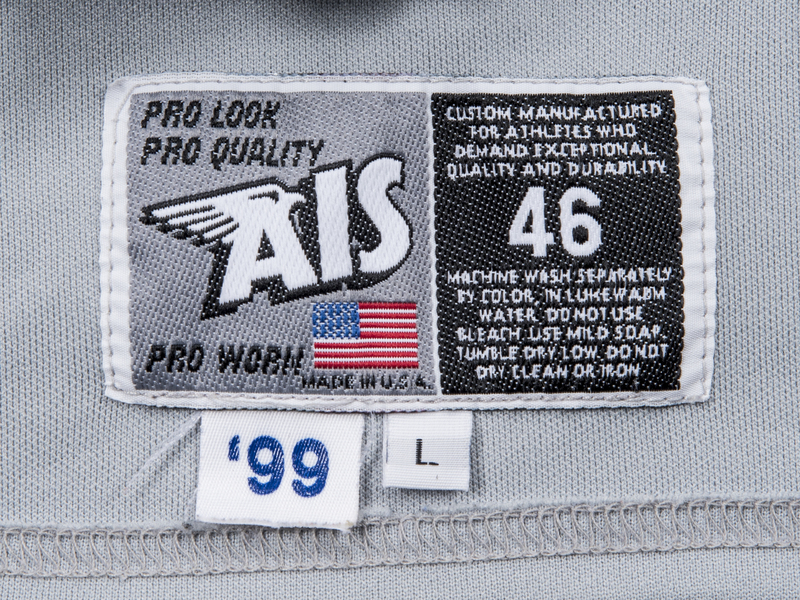 All the interior padding is intact inside this size “7 ¼” helmet. Finally, this lot includes two caps worn by Ventura. 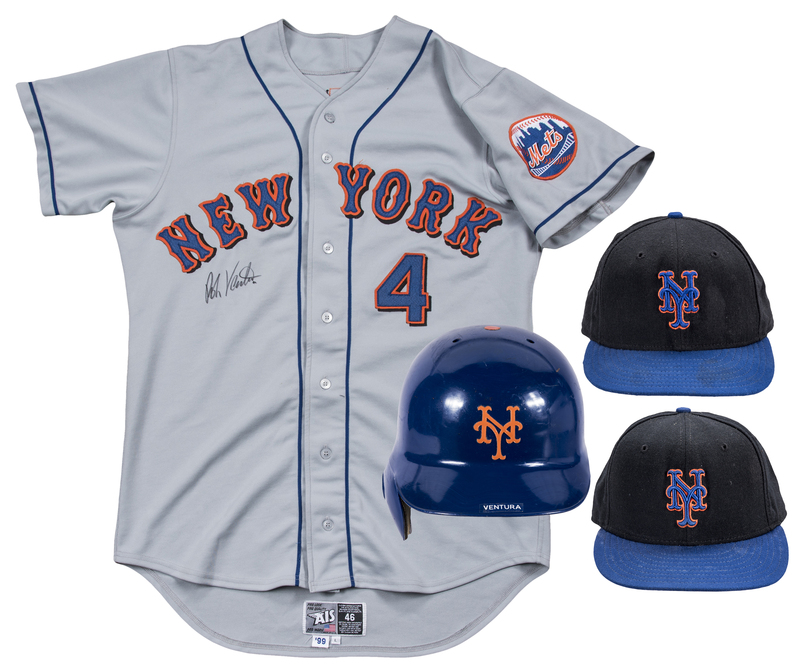 The caps are both black, with a blue brim and a blue and orange Mets logo applied to the front. 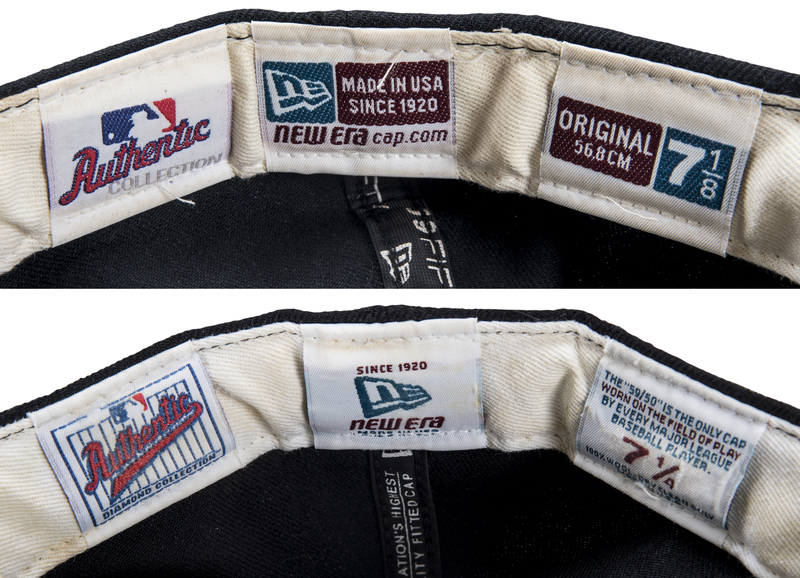 One cap is a size “7 ¼” while the second is a size “7 1/8”. 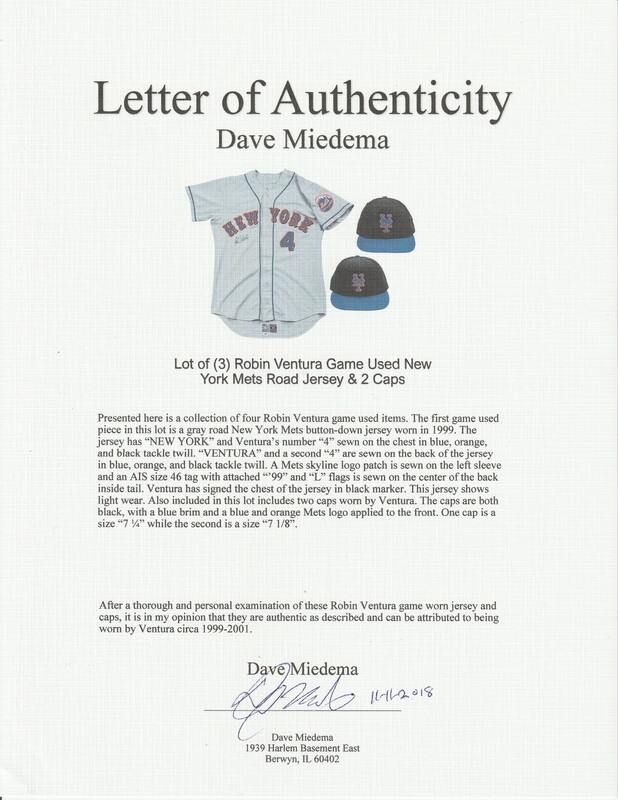 The jersey and both caps come with a LOA from noted game used jersey expert Dave Miedema.